As SQL Server 2008/R2 is reaching the end of support very soon. Are any of you still running SQL Server 2008/R2 and would like to upgrade soon? Are they willing to upgrade to modern SQL Server platforms to achieve breakthrough performance, maintain security and compliance, and optimize data platform infrastructure? Azure SQL Database and Managed Instances allows you to build globally scalable applications with extremely low latency. Azure SQL Database is the best cloud database offering in market. In this session, we will take a detailed look at the migration life cycle and show you how we have made it easy to migrate SQL Server instances to Azure with near-zero downtime by using the Azure Database Migration Service and related tools. 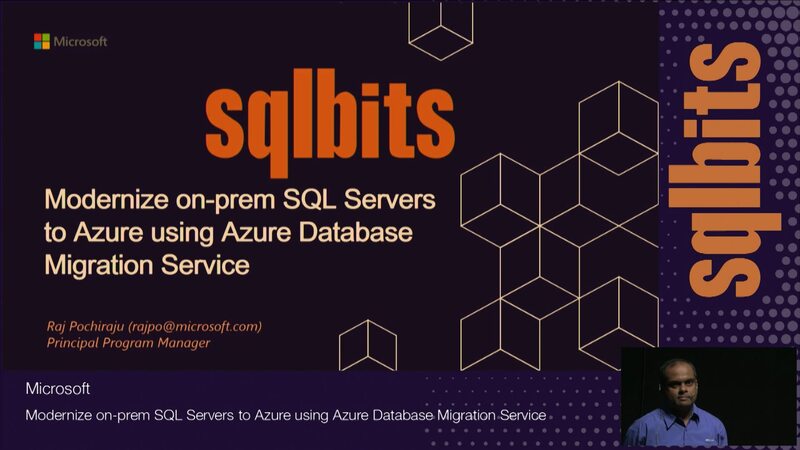 We will also cover most commonly seen migration blocking scenarios and demonstrate how our service can unblock your migration to Azure SQL Databases. We will also give you a deep dive how to perform scale migrations using our CLI components.